The Dark Knight Rises co-writer David Goyer recently said in an interview that Bane wasn’t the first choice for villain in the third installment. In fact, the studio wanted Leonardo DiCaprio to portray the Riddler. I know, I know — a lot of people would consider the Riddler such a ridiculous choice. After all, Jim Carrey’s portrayal of the character was basically his usual slapstick with riddles thrown in. It wouldn’t fit the tone of Christopher Nolan’s movies. But that isn’t how the Riddler is in the comics. The Riddler is a psychotic intellectual who develops an obsession with Batman. And in recent comics, the Riddler became a detective who wants to rival Batman. So it’d be an easy translation to Nolan’s film. By the end of The Dark Knight Batman is a wanted criminal. There’s your opening for the Riddler’s introduction: a detective obsessed with bringing in Batman. One who uses any means necessary, and suffers from an obsessive compulsion and neurosis, which leads to not only leaving clues and riddles for Batman, but for the Gotham police as well. So yes, the Riddler could have translated well in a Nolan Batman movie. But then again, the third and final movie aimed at a more cerebral level instead of action probably wouldn’t perform as well in the summer box office. 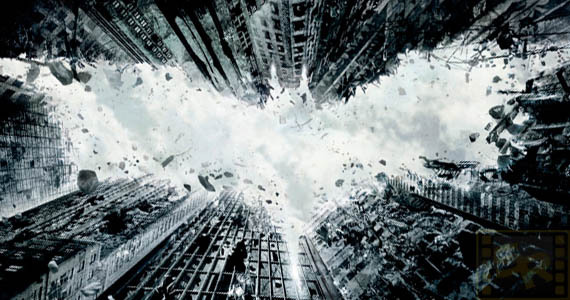 The Dark Knight Rises releases in theaters July 20. They need to cancel the release of Dark Knight Rises just to make this movie. Haha. I would’ve liked a combination of Bane and the version of the Riddler I mentioned; bring a balance of cerebral and action.